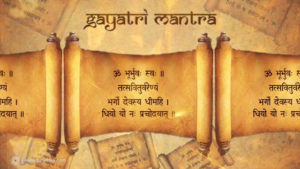 The Gāyatrī Mantra, also known as the Sāvitrī mantra, is a highly revered mantra from the Rig Veda (Mandala) dedicated to Savitr, the Sun-deity. The Gayatri Mantra (the mother of the Vedas), the foremost mantra in Hinduism which inspires wisdom. It means that “May the Almighty God illuminate our intellect to lead us along the righteous path”. The mantra is also a prayer to the “giver of light and life” – the sun (savitur). 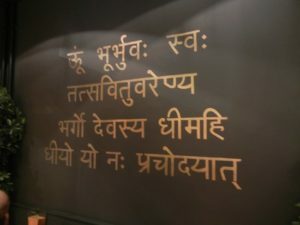 The rishis had chosen the words of the Gayatri Mantra very uniquely and arranged them in such a way that not only do they convey the meaning but also create a specific power of righteous wisdom through their utterance. The ideal times for chanting the Gayatri Mantra are three times a day – at dawn, mid-day, and at dusk. These times are known as the three sandhyas – morning, mid-day and evening. The maximum benefit of chanting the mantra is said to be obtained by chanting it 108 times. However, one may chant it for 3, 9, or 18 times when pressed for time. The syllables of the mantra are said to positively affect all the chakras or energy centres in the human body – hence, proper pronunciation and enunciation are very important. Chanting of Gayatri Mantra daily and regularly removes all obstacles from your path to increased wisdom and spiritual growth and development. The teachings and powers incorporated in the Gayatri Mantra fulfill this purpose. Righteous wisdom starts emerging soon after Jap(recitation) of the Gayatri Mantra is performed. 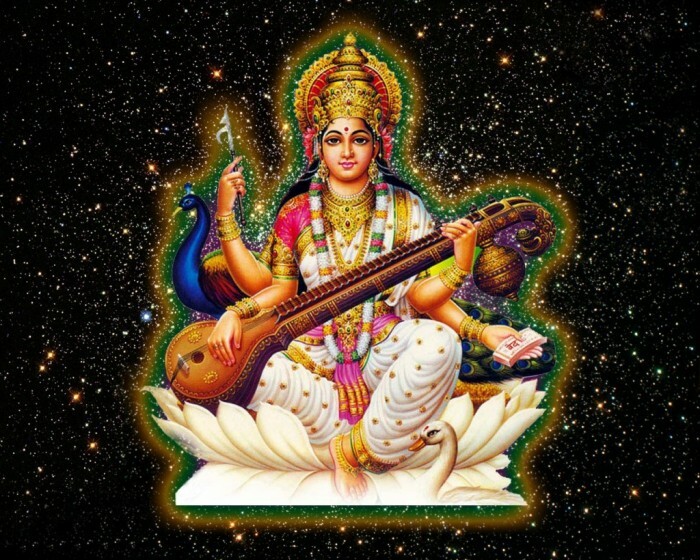 Gayatri, having five faces, is said to have space over the five senses or pranas, and ensures these five life-strengths of the individuals who serenade the Gayatri Mantra. 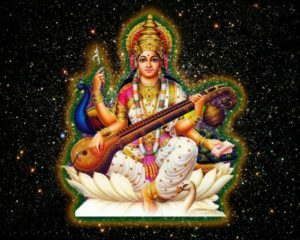 In her part as the defender, Gayatri is alluded to as Savitri.